Garden State Pain Control (Fair Lawn) - Book Appointment Online! 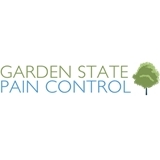 Garden State Pain Control was founded in 1994. Over the last nearly 20 years, the practice has expanded to include over thirty employees and locations throughout North and Central New Jersey. Garden State Pain Control is on the cutting edge of technology to perform procedures designed to improve functionality and outcome for its patients. In 2012, Dr. Sinha was thrilled to hire his most recent physician-employee – his son, Dr. Neil Sinha (“Dr. Neil”), who followed in his father’s footsteps to become a physician, board-certified in anesthesiology and pain management. Dr. Neil Sinha joined the practice immediately after completing his fellowship in pain management from the prestigious Cleveland Clinic in Ohio in 2012 and Drs. Dev Sinha and Saurabh Dang joined the practice after completing their pain management fellowships in 2016. Everything was explained in detail. Great Doctor and office! With so many poor experiences in the medical arena, Dr. Levy is a breath of fresh air and I have high regard for her expertise. I recommend her without hesitation.